There are a lot of sources of entertainment, but no one can take the place of karaoke. We can say that because it certainly refresh our mind and we have enough time to have fun based on our specific choice. Now you don’t need to go any places physically as you can enjoy and try different desired sounds from your home with the help of karaoke apps which can run on your iOS or Android. 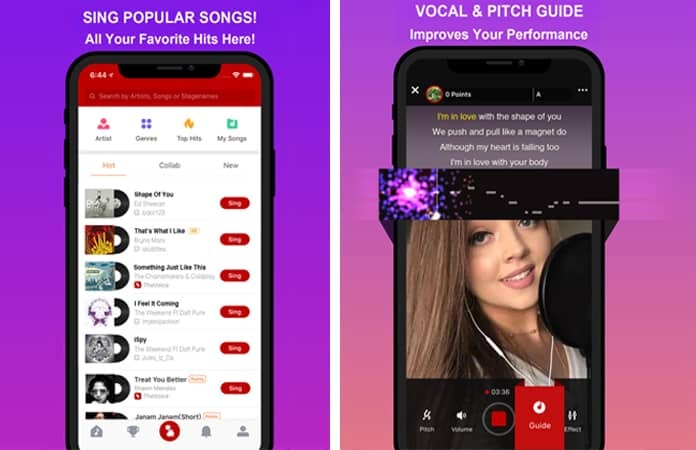 You can feel like a real superstar and can share your talent with the whole world with the help of the best karaoke apps for iPhone and Android. 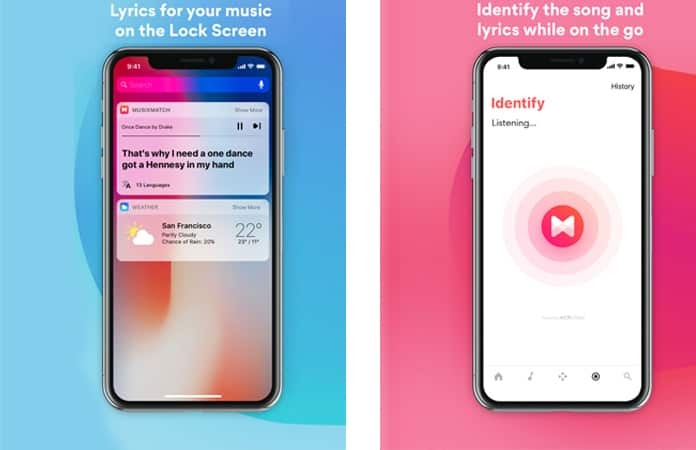 You just need to know about some certain music apps which you can use at the time of need. In below, you are going to know about some famous karaoke apps with their necessary details to make your mind to have great fun. Here is the list of the best karaoke apps for iPhone and Android to download in 2019. Yokee is the biggest app which offers you the access to unlimited sounds from all across the world. You can search and choose anyone correctly following your mood and needs. This app provides you amazing user layout which anyone can easily understand and use. There are different categories of different sounds which can help you to explore new stuff and go to the right desired place in no time. The sound quality of Yokee is very high, and you can use this app to make rehearsals of your own pretty voice. You can share your created records on social media without any disturbance or distraction. In a net shell, we can say that this is the best app for Android and iOS which can give you a lot of entertainment in just a few necessary clicks. 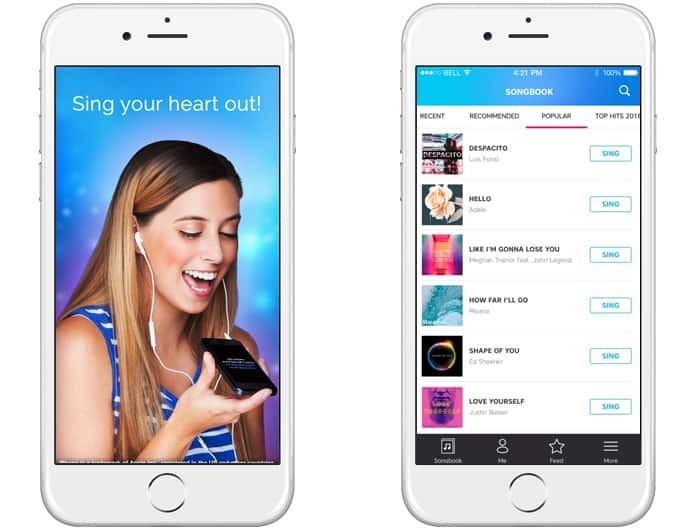 With this app, you can use audio effects and video filters while you are singing your favorite karaoke songs. 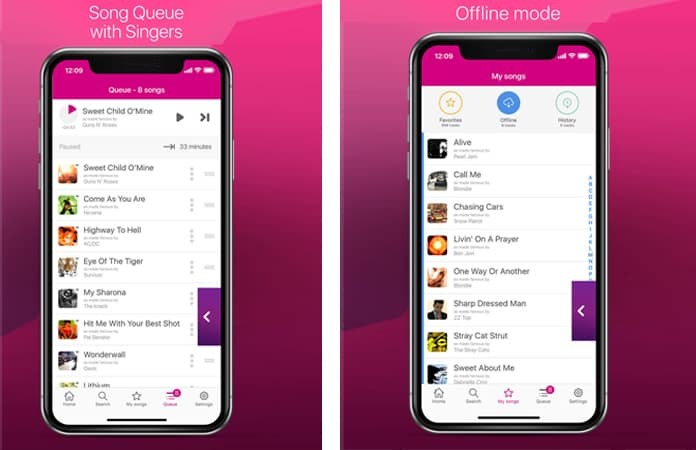 Sing allows you to keep your recorder songs private or you can connect with singers around the world or duet with stars like Nick Jonas and Ed Sheeran. 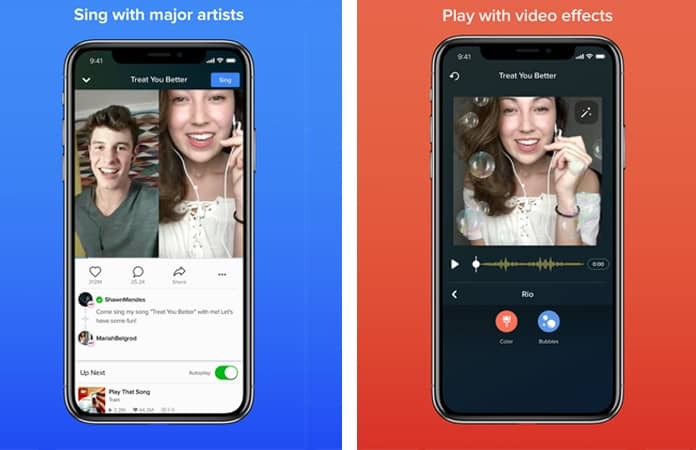 This app has more than a million songs with music and lyrics and you can also apply video filters to your songs and make your recording look more professional. 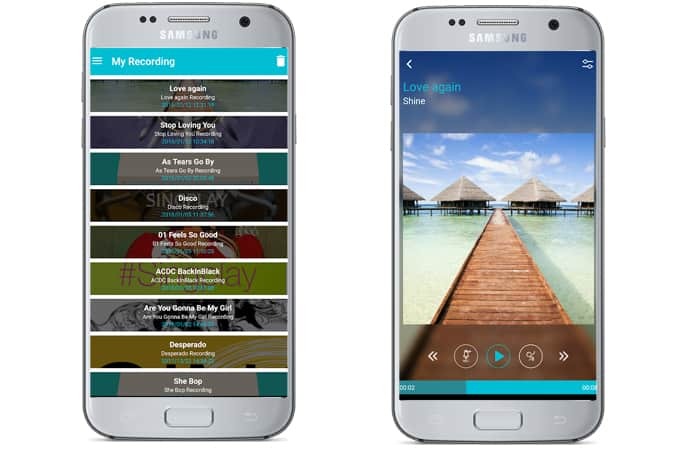 Sing provides you with a massive catalog of Pop, Rock, Rap, R&B, Hip-Hop, Country, Latin, Kpop and more. This is another fabulous app which allows you to record any kind of sound on it as long as you wish. You can share your recorded data to a community of unlimited and ever-growing members. You can get access to a library which is customized and give you everything which you are looking for a superb Karaoke. You can download this Karaoke Anywhere app for Android and iOS easily and enjoy the fun of recording and be sharing at its peak. One of the best karaoke apps for iPhone is SingSnap Karaoke. 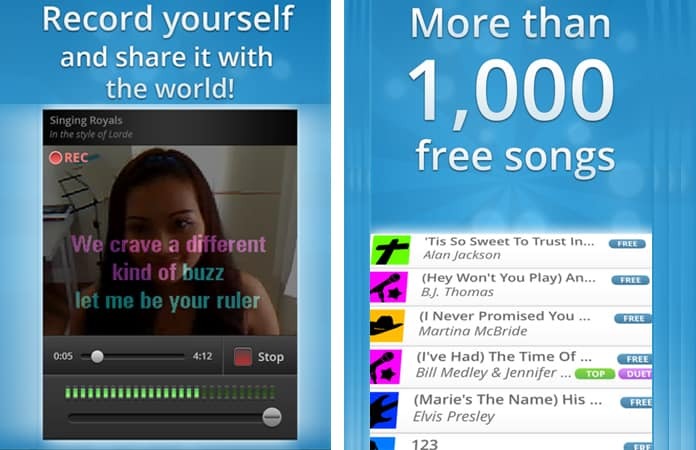 This app is for free and you can record and sing over 1000 of the most popular karaoke tracks. SingSnap is the world’s largest service for streaming karaoke and you can play back your recorded song whenever you like. With this app, you can share your recordings on Facebook, Twitter, Google+, email or you can keep them private. If you want to convert your singed voice into karaoke, SingPlay Karaoke Your MP3s is the right app for you. You can easily give right back sound to your voice to make a brilliant karaoke. You can mark many recorded voices as favorite and can share them with your loved ones. The main advantage of downloading and using this app is that you do not need to connect to internet. You can quickly adjust the tact and tempo, and it gives you the high-quality output without affecting your original voice recording pitches and functionalities. So, try to download this app for your iOS and Android right now. This is one of the best and most admired karaoke which should be available on your mobile. This app permits you to record your voice like a superstar with a lot of background choices. You can easily and quickly record any sound and can share it with rest of the world. You can use its different searching filters to use it more conveniently. You can take great benefit from its search option which is based on artist or genre. You can subscribe to new coming sounds with the help of this app and can share it with every one of your interest. It is a beautiful one stage application much similar to the famous program name ‘The Voice’. So, never miss the opportunity to use The Voice: On Stage app on your Android and iOS. If you want to enjoy a high touch of Karaoke sounds without any limitation, Karaoke mode is just for you. You can use this app to record your voice with the help of Karaoke mode application. 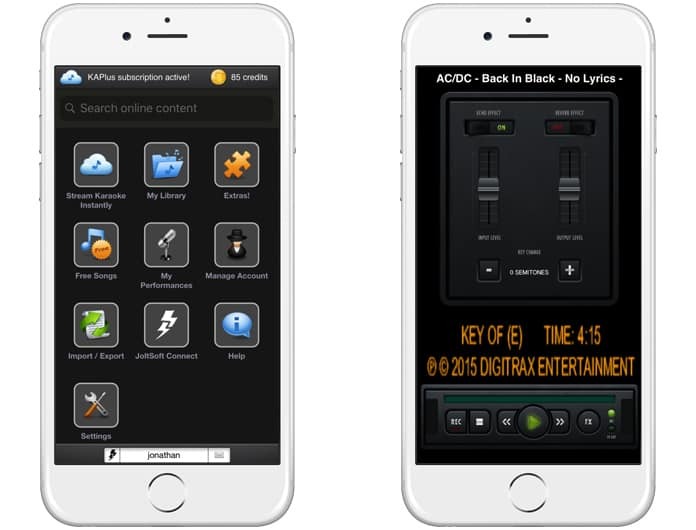 It provides you complete access to all features and provides you for recording like the real stage performer. You can use best quality headphone to record and get high and clear quality output. You can make favorite list of needed voices and other sounds and background Karaoke stuff to get quick access to them. It will allow you to get fast access and use any favorite item again and again without the need of searching. This is another excellent Karaoke app which comes with needed mixtures. You can use this app to listen the voice and sound which you recorded without any compromising on the quality. You can record a lot of voices with the best karaoke hits exactly following the pattern of your interest and priorities. Thus, it can be said that you need to give a chance to this app to prove its efficiencies to enhance the taste and increase your experience of enjoying Karaoke without taking any limitation into consideration. You can download this Musixmatch Lyrics and Music app for your Android and iOS and can use it forever. 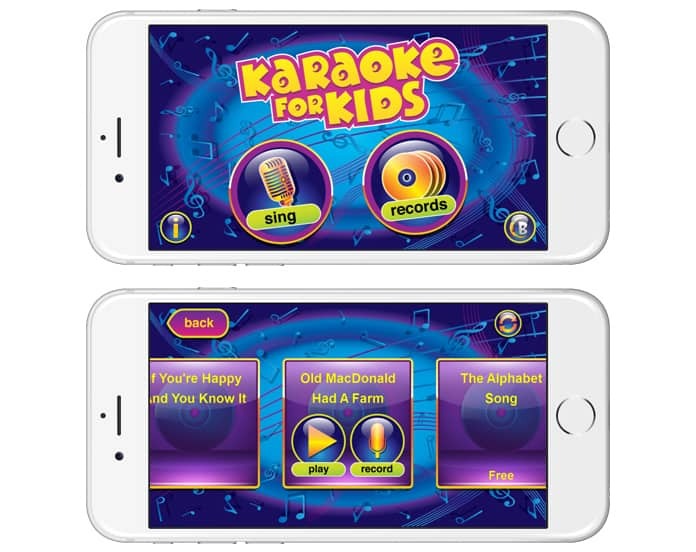 Karaoke for Kids is one of the best karaoke apps for iPhone and Android to download for your little ones. With this app, you can teach your child to sing along with you. Karaoke for Kids allows you to create a chorus, practice at home, sing in two voices, on the road or on vacation. This app has the ability to record and send your recordings by email or share it on Facebook. KaraFun gives you the ultimate karaoke experience you want for you or your family. This app provides you instant access to thousands of karaoke songs instantly on all of your devices. It has more than 28,000 karaoke songs available, it works with AirPlay and has an Offline Mode. All you need is to connect your device to any AirPlay compatible device you have, or directly to a TV or any video-projector and enjoy the smallest yet most powerful karaoke machine ever. KaraFun app is available for iPhone, iPad and Android devices. 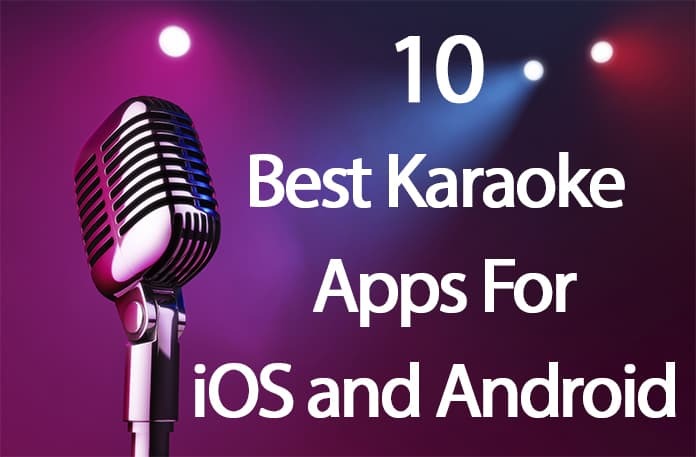 We hope that you liked our list of the best karaoke apps for iPhone and Android. Don’t forget to like, share or leave your comments in the section below.